July | 2014 | C.H.A.M.P. So I finished reading this book in February, then my son asked to read it and I had these big plans for us to write a collaborative review together but now it is July and he has still not finished reading it. I can’t really judge too much, although I have done quite a bit of reading over these last few months, I have not written a review since March. I could make all sorts of fancy excuses but really who cares, I been busy y’all! So I do at least remember this book, and that I liked it. 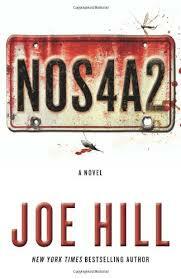 This is the first book I read by Joe Hill and for those who do not know he is the son of Stephen King and I love me some Stephen King so I decided that I must read some of Joe Hill’s work as well. I used the CBR holiday book exchange as an excuse to ask for one of his books and Rochelle was kind enough to oblige.